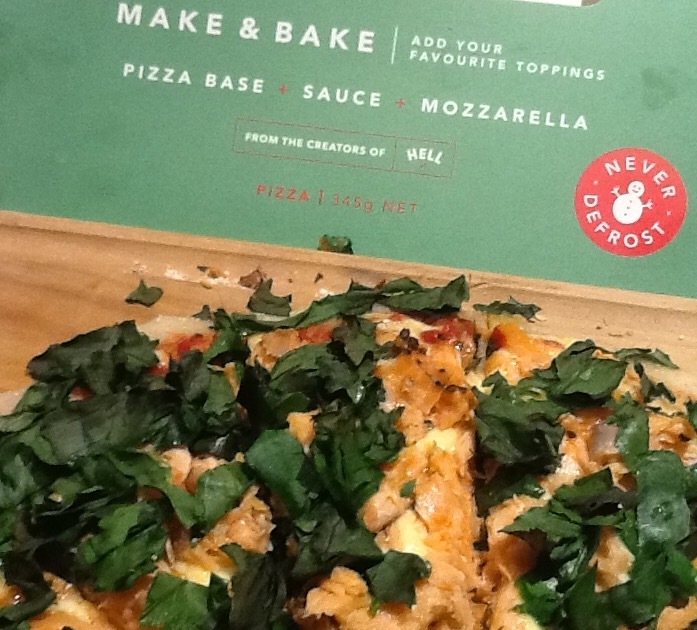 BAKED frozen pizza is as close to the real deal as you can buy... in a supermarket. BAKED is made by humans, not machines. We place the toppings on and we care about how it looks. We hand make our pizza base and give it a traditional crust with a rolling pin (old skool styles). We then craft each pizza with tasty FREE RANGE toppings (yes we are shouting), because nothing tastes better than happy meat. Our pizza has flavour in every bite - right down to the crust. We use 100% pure NZ mozzarella. Our pizza is not par-baked but instead it&apos;s frozen at the proofing stage. It must always be cooked from frozen. Never defrosted. It seems so simple: a frozen pizza base with all the mozzarella cheese you need, the correct amount of pizza sauce, and all you do is add your favourite toppings. It&apos;s perfect for school lunches, events, snacks or a meal with a side salad. Create your own favourite pizza recipe or use leftover ingredients in your fridge / pantry and place on top of the cheese. Once out of the oven garnish with fresh parsley, spinach, fresh basil, black pepper, chilli salt, or even drizzle with olive oil or any other finishing sauces from your cupboard. Everyone in my family loves pizza, and with that comes everybody&apos;s favourite toppings. My partner loves meatlovers, Miss 4 Hawaiian, she always has to have pineapple on her pizza and then theres me, I&apos;d always put chicken on my pizza whenever possible. We absolutely love Hells pizza and if we could we&apos;d choose this over any other pizza joint if we were to order pizza we would do so howeveritis rather costly, so to see that the creators of Hells had created bake at home pizzas was perfect,I couldn&apos;t wait to try the range out especially the Make and Bake one! Miss 4 was quick to jump on board with helping to create our pizza for dinner. We first preheated the oven while we waited for this we prepared our ingredients that we wanted to use pineapple, ham, cheese and the strange request of popcorn chicken for Miss 4&apos;s half and for mine it was smoked chicken, camembert,pineapple, capsicum and salami. Once the oven was heated the base was brought out from the freezer and quickly cut in half with each is adding our toppings to our half, into the oven it went. I first left the pizza in the oven for the recomended time, however it was no where near cooked, so needed an extra 10 minutes, by this time the base and sides of the pizza were crisp and golden, the cheese was beautifully melted. Taste wise this pizza was delicious and without a doubt the best home made frozen pizza I have ever had. A crispy base with a beautiful crunch to it that didn&apos;t go soggy no mater how much topping was loaded on to it. I loved the slightly raised sides as this helped the toppings to stay on. 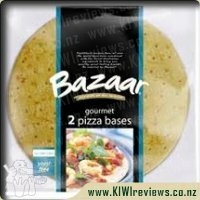 For the price and versatility of this base it is fantastic and a firm favourite to be joining my freezer when I find them in a supermarket soon. 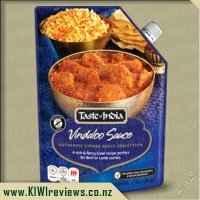 Delicious rich tomato sauce, and tasty cheese with any flavour combination you can dream of, only limited by your own imagination, highly recommended. 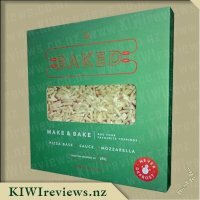 The Baked Make and Bake pizza is a great product to have in your house so you can create a meal with whatever you have lying around. 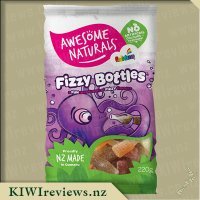 It is also great for vegetarians or fussy eaters as you can put whatever you like on the pizza and nothing you don&apos;t like. When I opened the box I noticed that the pizza had a large crust that didn&apos;t have sauce or cheese. My husband and I shared a pizza. The whole pizza had chicken, left over from last night&apos;s dinner, and onion. On his half there were also olives and on mine eggplant and black pepper. All this was prepared while the oven was heating so the pizza could go in frozen as instructed. It was a bit harder than a regular pizza to tell if it was cooked as the mozzarella was all hidden under our toppings but the 14 minutes for us was about right as I know our oven usually takes longer than the instructions.The crust appeared much smaller once cooked and I didn&apos;t notice it when I was eating. The base was a nice thickness between too thin and all dough. I think I made the mistake of overloading my pizza as is was quite hard to eat and much of the topping fell off as I did. The base, sauce and mozzarella created a great foundation of flavour for our pizza and made for a quick and easy meal that both of us enjoyed. 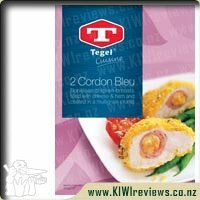 I would be happy to use this product again as I makes a very quick meal that I can personalise for my fussy family. 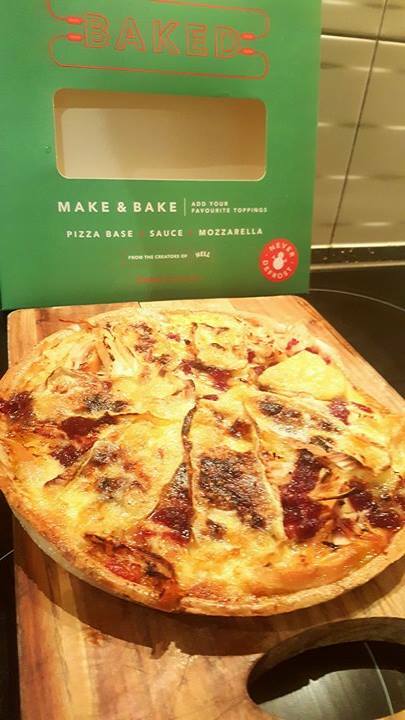 I have two pretty fussy children who like to have the most basic ingredients when it comes to pizza so I was delighted to see this make and bake variety! My son always wants pepperoni pizza if we have take out, while my daughter only wants ham and cheese a bit of a pain to buy both but always a bit of a grrrr moment when you have to pay extra for a half and half pizza to solve the arguments between the two over what pizza we will get them. While I would of preferred to make something more exciting with this to get a really yummy gourmet pizza with it being family pizza night I had to give the children what they wanted too. As I said they both like different things so added their toppings to their half of the pizza, my daughter deciding there was too much cheese so taking some off to put on her brothers side worked well as I have one cheese lover and one not so much. This is a great frozen pizza for me to buy for my children so they can share a pizza but add the toppings they desire as there is no way they would eat a pizza each and everyone else in the family wants to have something a little more exciting than they want. They were both happy with the taste and crisp of the base and the amount of pizza sauce, like I said fussy children and I have had tearful children at take out pizza places when excessive pizza sauce has been added. 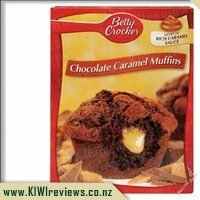 I am pretty happy with the quality of ingredients and think this a great new product for a busy family. 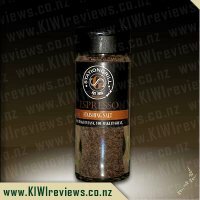 I liked that this variety is cheaper than the others to make up for the fact you have to add some of your own ingredients and think the price is a fair price to pay for the base product you get to work with and for the convenience factor in my opinion is great value for money! Definitely something I would recommend to other family members and friends of mine. 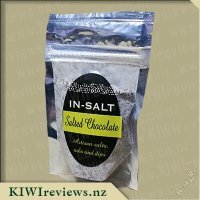 I was cautious about scoring the nutritional value of this product as it does depend on what you put on top, but given that this part is up to me, I always ensure the food value is up to standard. Certainly, if you just consider the base, the combination cannot be faulted. It is not too high in any of the traditional "nasties" like sodium and saturated fat, and contains nearly half of the recommended daily protein intake and two-thirds that of calcium. So as I said, it all depends on what you pile on top as to whether it is nutritionally sound! As a family, we all differed on what topping to use. I wanted chicken and cranberry. Mr Seven wanted double ham and pineapple. Miss Five suggested rice (one of her favourite dishes) but we ignored that. But their parents won - my daughter adores salmon and my son-in-law likes spinach. So salmon and spinach it was. I was not sure how much salmon we would need so I got two packets. In the end we added the lot because we decided it was better to have too much than too little. The spinach was shredded and added on top so it would be slightly crispy when it was cooked. We noticed as it cooked that there seemed to be a lot of cheese bubbling up around the fish and spinach, more than with the other two pizzas we had already tried. (Both the others were ready to cook but there did not seem to be quite the same amount of mozzarella.) When we served up, we found this was true - there was definitely more cheese to be seen. 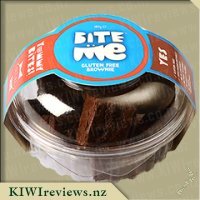 And the only allergen warnings were for wheat, milk and gluten. 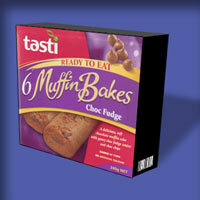 Not an artificial additive in sight. It was divided into four - Mr Seven does not like salmon - and we had it with green salad and some leftover macaroni salad. Absolutely a thumbs up from all of us. The texture of the base was perfect, there was plenty of cheese and just enough tomato flavouring, and the topping transformed it into a gourmet dish we could easily eat every night of the week. This is a brilliant idea as it means fussy eaters, and people with certain allergies, and vegetarians (including many of our family and friends) can all be catered for. In terms of serving sizes, we thought you would need two pizzas for three people for a main meal. Half a pizza is not quite enough but a whole pizza is probably too much. If I were serving two other people I would probably make one with meat or fish and the other vegetarian then we could negotiate the split. I like both so am easy to please! The packet suggests you name your pizza, so my next one will probably be called Ratatouille because I am going to try it with olives, button mushrooms, courgettes, peppers and some sliced fresh chilli. (I have supplies of all of these in the freezer for when they are out of season.) And oh yes, there is certainly going to be a next time! I&apos;m not a huge fan of pizzas, but the Baked range has really swayed me, so I figured no harm in trying to make my own. One of the aspects of pizza that has turned me away from them is that I don&apos;t like capsicums, spinach, seafood (i.e. anchovies or shrimp), or olives. So that eliminates 95% of the pizza varieties available to me unless I want to be one of those people with the really picky orders. And honestly I&apos;d generally rather order something else than be a picky orderer. So the ability to pick my own pizza toppings, without having to worry about getting the cheese, pizza base, or tomato base right is a huge plus. Now my pizza looks rather bland in the photo. It is partially due to the lighting, but also because I added additional cheese to it, which is covering a lot of the toppings, making it tasty, but not visibly exciting. I grabbed a precooked half chicken from the supermarket deli, some double cream brie, and a jar of whole berry cranberry sauce. A simple chicken, brie, and cranberry pizza. One of the things I struggle with is moderation. I love my meat, so when I make rolls or sandwiches, they are difficult to eat from the number of fillings I&apos;ve jammed inside. Apparently I do the same thing with pizzas. I used all of the meat from the half chicken, added 1/4 a jar of cranberry sauce, and layered some brie on top. I tried a few different methods to get the base super crispy, but had no luck (next time I will try baking it at the bottom of the oven to keep it away from the elements), but I got the top super crispy, and got my cheese a beautiful golden brown. Due to the number of fillings I used, the pizza was a little messy to eat, but it was delicious, and I ate the entire thing in one sitting. As the pizza isn&apos;t par-baked, it&apos;s important to cook the pizza from froze, and not allow it to thaw at all. So I was impressed to see it specified on the box to keep the pizza in the freezer while you preheat the oven and prepare the toppings. Covering all your bases, and protecting from disappointment. 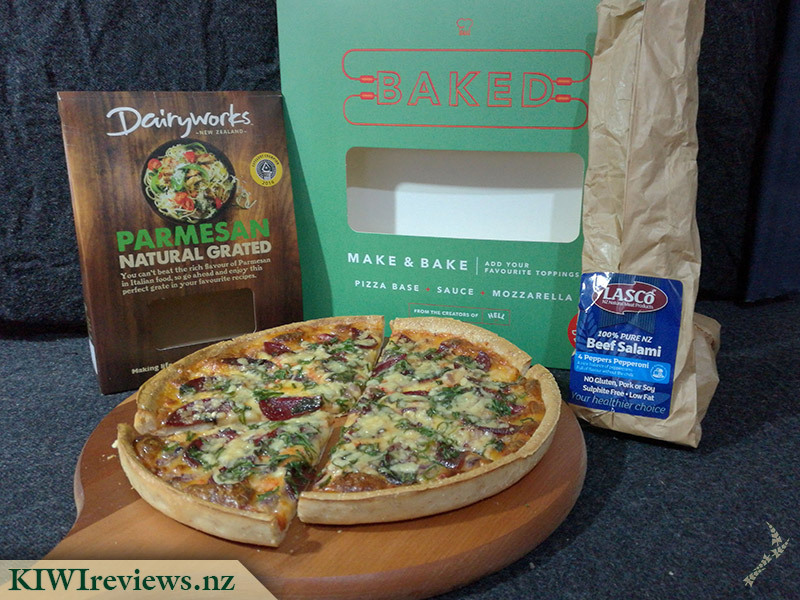 Ideal for people that have picky tastes, but still want a quick and easy fresh home baked pizza. Great value. Much recommend! Pizza... one of the three basic food-groups for any struggling university student (along with &apos;beer&apos; and &apos;2 minute noodles&apos;) since forever ago. It&apos;s been a solid classic looming up from the horizon, casting it&apos;s tasty shadow over us all for so long... time for a revolution. Being able to take this hand-crafted base and pack it to the gunnels with your own selection of toppings - going light and adding sliced tomato and some fresh basil to make a Margerita or loading it to the rim with a shelf or two of leftovers from the fridge - and still resulting in something that looks, and tastes, like it came from some fancy gourmet pizza joint for $25 makes this one of the most versatile pizza bases I have ever come across. The best bit about it, of course, it that it won&apos;t turn out waterlogged and saggy because it&apos;s not partially-cooked by steaming it the way some of the more popular mass-produced pizza based are. Topped with a generous amount of grated mozzarella cheese means this pizza base isn&apos;t exactly high on the &apos;healthy&apos; scale, but to have the power to choose what you put on there as well, so loading it up with healthier toppings will give you a very filling meal with a smaller proportion of fats and oils. But where&apos;s the fun in that! So... for my test I loaded on a few layers of salami, onions (white and red), some home-grown chillis, spring onion, and a small mountain of parmesan cheese because, heck, I just love that flavour. I was tempted to add bacon and finish it off with an aioli swirl, but I decided that considering the ingredients, I was going to have enough trouble tasting the base and sauce as it was, and didn&apos;t want to utterly drown it out. Still, this was a very tasty pizza indeed. The results... utterly incredible. If I hadn&apos;t made it myself, I would not have believed this was a home-made pizza using a frozen base. 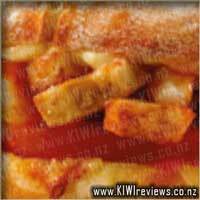 It is clear, really how the hard-learned lessons from Hell Pizza helped shape this product into a top-notch piece of delectable delight that has such an amazing scope of flavours that it will work with. 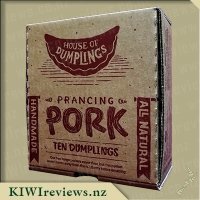 I&apos;m fully aware that as soon as I can find this in my local supermarket (it&apos;s so new to the market, it&apos;s still not everywhere it&apos;s going to be eventually) I will be stocking the freezer with a dozen of them and going to town with the experiments. 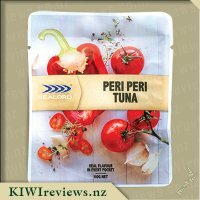 I want to try so many other flavour combinations... and the high never-soggy crust means I can put down things like mince and tuna chunks without worrying about them going in my lap before they reach my mouth. Overall, hands-down THE BEST frozen pizza base I have eaten, ever. Made with the finest Australian ingredients, Bazaar uses a traditional Italian recipe so that you can enjoy sensational pizzas at home. Just top with your favourite ingredients, and after only 10 minutes in the oven, you have created the perfect crispy pizza! It&apos;s as simple as top, bake, slice. "I'm tired of all this nonsense about beauty being only skin-deep. That's deep enough. What do you want, an adorable pancreas?"